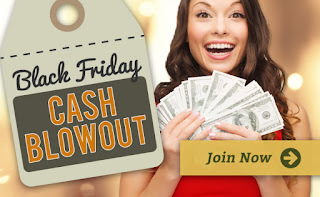 Black Friday Cash Advance to the Rescue This Holiday Season! It’s almost that time again! The holiday season is upon us, and gift shopping has begun. As we all know, the most exciting day to shop sales, deals, and specials is the day after Thanksgiving, commonly known as Black Friday. That’s the day to gather with your family or your friends, get up at some unbearably early hour of the morning, and hit the stores! Some people even check the sales flyers for who has the very best can’t-be-missed deal, and actually camp out in front of the store all night to make sure they get in as close as possible to the moment they open, before they run out of the item or items that are most desirable. If you want to be part of that crowd of shoppers, but haven’t managed to put aside as much holiday shopping cash as you would like or think you’ll need, the Black Friday Cash Advance is for you! In just a few minutes, you can be approved for a quick influx of funding that will effectively allow you to spend money from your next paycheck or two – perfect for those of us who have a plan and a budget but for various reasons may have fallen behind on saving. We’ve all been there – when you know you can afford something if only it were going to happen a few weeks later? Here’s your answer! It’s super-simple! The online application form asks just a handful of questions – basic info that’s needed like your name, address, and driver’s license number, info about your income and employment, and of course your bank account number so the lender can deposit your funds directly to your account – no check in the mail to wait for! Completing the form takes almost no time, and the form data is immediately transmitted to the participating lenders who are available 24/7 to evaluate and approve your request. Once you’ve used the electronic signature on the terms agreement to accept the offer, funds will be sent to your bank the very same day – and depending on your particular bank’s clearing process, cash is usually available in your account the following business day. It’s that fast and simple! The Black Friday Cash Advance is yours to use however you like – holiday shopping, or for more immediate practical matters if that’s your need. It’s entirely up to you. In addition, the lender will set up an automatic bank draft for repayment, so you don’t even have to remember to mail a check or set up an electronic payment through your bank. It will be scheduled for your next payday, or if you need to extend the terms, contact the lender for information on options and fees. 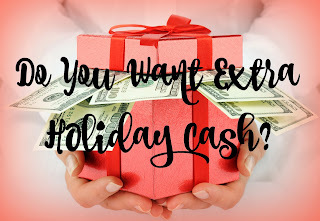 A Black Friday Cash Advance can be the solution to a multitude of holiday budget woes, as it’s easy to apply for, flexible, and affordable. Don’t let the possibility of a fun day of shopping with your loved ones pass by due to a lack of ready cash – apply and get approved today! It’s so easy to let certain things slide when we’re short on cash. That annual check-up at the doctor’s can wait, right? And the dentist appointment , and the recommended maintenance on the furnace… Other things often feel more important – and in many ways are more important. Food really can’t wait. Paying the rent or mortgage can’t wait – but Christmas Advance Loans can help you do it all. Borrowing against that next paycheck, the one that always seems far away and elusive, can be a step toward catching up on what you’ve been putting off. 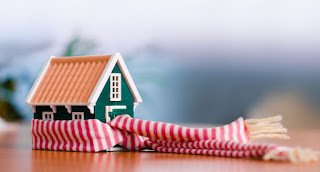 Specifically, catching small maintenance or health issues early saves money by avoiding larger more expensive costs later on – and winterizing your home keeps you from letting precious heat leak outside your home when you want to pay only to heat the inside. Your car is a similar situation – the right fluids and maintenance will make sure it runs as efficiently as possible, which saves you money in the long run. Wouldn’t it be nice to go into the holidays without the burden of financial worries weighing on your mind? Late fees are self-perpetuating – once you pay a bill late one time, your budget makes it harder to pay it on time the next month, until paying late becomes the usual schedule, and paying that fee has to fit into your budget every time. With all the extra expenses that holiday time brings, the last thing you need is older bills carrying over into those months, bringing late fees – or worse, overdraft – to increase your monthly requirements. Christmas Advance Loan are a fast, simple, and affordable way to catch up on overdue expenses and make sure there’s enough cash in your account to cover anything unexpected. Simply making sure that your account doesn’t become overdrawn, incurring a fee of $30 or more for every instance – can easily save you more cold hard cash than the cost of the loan. Sometimes there just aren’t enough paydays to cover everything that happens between back-to-school expenses and Christmas – as if the holidays weren’t stressful enough by themselves, financial tension is a factor that can easily quickly leech the joy from what is supposed to be this happiest of seasons. Traditional personal loans will leave you with an extra payment to fit into your budget for months or even years. A Christmas Advance Loan can pay off those expenses, whether they’re holiday travel, school expenses for the kids, winter clothing – and be paid off in a month. 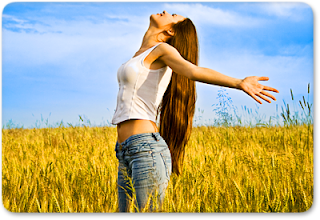 One month of interest payments instead of a year, and you can start the new year without any new debt to worry about. What could be more valuable at this time of year than the kind of peace of mind that comes with knowing your finances are sufficient, secure, and stable? That’s a gift you can give yourself that actually saves you money in the long run – what are you waiting for? Apply today! You may know about payday loans. You may even have taken advantage of these great loans to help you get by between paychecks. But did you know that the same lender that gets you these payday loans can also provide you with a payday line of credit? Here’s what you need to know about this financing option. A payday line of credit is similar to other line of credit loans in that you get approved for a certain amount, but you don’t have to borrow it all at once. You can draw on that line of credit whenever you need cash. This is a great way to get flexibility in how you borrow. It means using only what you need, as you need it so you don’t get stuck with a large amount of debt that you struggle to repay. On the other hand, when you do need a big chunk of cash, for some emergency expense, it’s right there waiting for you to use it. 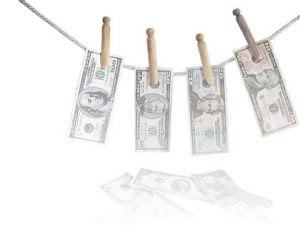 Payday line of credit loans are different from standard payday loans in how you borrow and use the cash, but in terms of how easy it is to get approved, they are exactly the same. As with any kind of payday loan, your credit score won’t disqualify you if it’s low. You also can count on getting approved in just a matter of minutes. 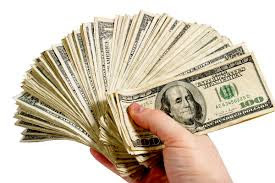 Your income, your job history, and having a bank account are the main things you need to show in order to get approved for this flexible source of quick cash. It’s so easy to apply for this type of loan. We do business online and on a mobile platform, so you have two easy options: use our online application or our mobile app with your phone or tablet. It takes just a few minutes to fill out the application or use the app, and then it takes about 90 seconds for a lender to get back to you with an answer. From there you are on your way to getting a payday line of credit. Your lender will take the steps to make it official and make sure the cash is ready and waiting for you to draw from whenever you need that extra money.